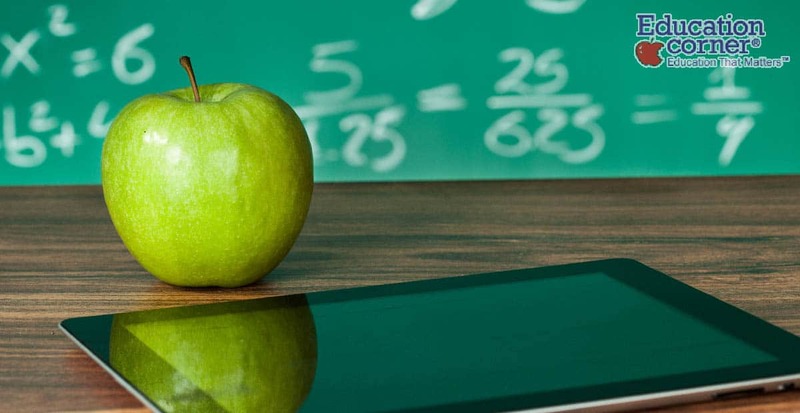 Are Learning Apps Helping or Hurting Education? There is no escape from technology. Any child born since the millennium has had the internet as their constant companion. As technology has become mainstream it has been assimilated into the learning environment. Many schools use computers and tablets in the classroom and give homework that requires the use of education apps. The use of technology in K-12 education is gaining popularity but is the infusion of app-based learning actually helping students? There is no denying that children love to use educational apps. They are stimulating and fun. While teachers may have difficulty getting children to pay attention to a classroom lesson, they rarely have difficulty motivating a student to use a computer. While students are not always interested in a lecture, they may find they are curious about a particular subject due to an app. Using education apps is a way to promote interest in topics that students might otherwise disregard. In almost any profession, you are going to need to use computers. Using education apps prepares children to use technology. Many of the skills necessary to use apps are the same abilities they will need to perform everyday tasks and certain job functions. Furthermore, children who do not have computers at home have the chance to develop their technology skills at school. It is no secret that children learn in different ways. Some are more visual learners, while others may rely on auditory cues or other senses. An app can appeal to many different types of students. Additionally, children can go at their own pace rather than have to follow the teacher's rate of instruction. Having the opportunity to learn without a teacher's direct influence encourages students to value independent study. Technology may give children with disabilities a way to learn that they cannot receive in a traditional classroom environment. For example, there are apps that focus on helping dyslexic children to read and autistic children to develop social skills. Making progress individually, without public scrutiny, is important for students who are used to being judged. Although there is limited research in this area, there is evidence that the use of educational apps does help children learn. For example, education researcher Maya Lopuch found that elementary and middle school students who used various iPad apps as part of their learning curriculum improved their performance on a national assessment of Common Core domains. Students raised their performance nine percentage points, from the 51st to the 60th percentile after using iPads for just three months. University of Southern California professor Michelle Riconscente found that fifth graders' test scores improved just over 15 percent, compared with a control group, after playing a fractions game app for 20 minutes each day over a five-day period. Finally, Houghton Mifflin conducted a study measuring the effectiveness of using an app to help learn algebra in middle schoolers. They found that 20 percent more students scored 'Proficient' or 'Advanced' in understanding algebra using the app rather than a textbook. It should be noted that all of these studies were funded by companies that have a financial interest in the apps' success. There is sure to be much more research conducted as the popularity of app-based learning grows. Anything that supports a teacher also helps students. In addition to assisting teachers with grading and organization, technology helps a teacher educate their students. Apps can act as built-in lessons and aid a teacher in tracking a student's progress. Furthermore, the right app can enhance a teacher's lesson by offering another approach to a subject. The number of trees necessary for school worksheets and books could fill a forest. Using education technology cuts down on the need for paper, writing utensils and other school supplies. There is validity to the argument that computers use large amounts of energy and improper disposal of computers can harm the environment, but the use of education apps definitely helps protect trees. Daniel Goleman Ph.D., of Emotional Intelligence fame, worries that the use of technology is affecting the ability of children to focus and may impact emotional development. "The circuitry for paying attention is identical for the circuits for managing distressing emotion,” Goleman says. He argues that children may not develop necessary self-control and empathy for other people if they do not learn to pay attention in a school setting. Additionally, he notes that the ability to pay attention is a significant predictor of future success. One of the most frequent critiques of using education technology is that it lends itself to distraction from other lessons. Many students are savvy computer users and find ways to use their school tablets or notebook computers to surf the web or play unrelated games. In older grades, smartphones are sometimes used as a tool for classroom learning and the internet may be too much of a temptation to avoid. Since people are not really effective at multi-tasking, students just end up distracted from their education. Janice Kowalski, M.D. notes that overstimulation due to excessive screen time has been linked to emotion dysregulation and a reduction in sleep. Although the recommended screen time for a child is much debated, it is clear that the use of education technology in school can only contribute to increased stimulation. Teachers and parents need to be aware of symptoms of overstimulation, such as difficulties in managing stress and regulating mood. Although learning independently has its strengths, it can also be problematic. For example, a student may get too involved in an education app and lose interest in the classroom lesson. An app is not meant to replace the regular curriculum but an overreliance on education technology poses a threat to an instructor's teaching. It brings up a much-debated question: will educational technology eventually phase out the need for teachers? The majority of teachers learned how to teach using traditional methods. Unless they graduated after 2010, they have not received significant training in the use of apps and computers to enhance their students' education. As a result, they are learning on the fly. It is fair to wonder if a student's education suffers because a teacher may not have command of education technology and how to integrate it into a lesson plan. Most education apps are designed for individual use. Instead of interacting with a peer or teacher, kids become absorbed with the activities on their computer. The lack of in-person communication is a problem that appears to be increasing with younger generations. Due to e-mail, texting, and social media there appears to be an overall trend away from face to face social interaction. There is legitimate concern that today's youth are not learning the social skills necessary for future success. It is imperative that teachers attempt to use education apps in a way to foster classroom interaction. Even better would be for app designers to create more activities that can be used in a group format within the classroom. Knowledge of technology is not created equal. Those children that have more familiarity with tablets and computers have an advantage over those kids who don't. In general, children that come from higher socioeconomic backgrounds are going to have access to more computer devices and be more adept in their use. This disparity lends itself to the possibility that education technology contributes to inequality in learning. Additionally, the question arises: does progress on an education app actually measure a command of the subject matter or does it assess whether a child has an expertise of the technology? Finding and interpreting information used to require a certain set of skills. You had to research to find the right source material and interpret the meaning of that material on your own. Those skills become largely insignificant if all you have to do is look at Google for your answer. Type in your question and there is your solution with a full explanation included. Remember when you had to actually memorize words and definitions? Who needs to learn to spell when your computer does it for you? There is an argument to be made that creativity of thought suffers when everything is so easily obtained. Unfortunately, the internet has left comprehension and problem-solving skills somewhat unnecessary. Relying on a computer can be problematic when it doesn't work. It is not uncommon for a WiFi network to go down or a tablet to break. If using an app was part of a lesson plan or homework assignment you are left at a loss if that technology is not working. Using education apps in schools is a double-edged sword. There are many advantages but multiple shortcomings as well. The one undeniable truth is that education technology is not going away. Schools must learn to integrate the use of education apps into their classrooms in an efficient way, without oversaturating the classroom environment. To that end, teachers need to receive significant additional training on how to use education technology productively. Additionally, children must be taught to use technology responsibly. This includes setting limits for use and implementing privacy restrictions. Schools need to have dependable safeguards on their network so kids cannot access inappropriate or non-educational materials. With future exploration and development, education technology can improve on present areas of concern. Specifically, apps may be used in a way to promote social interaction rather than diminish it. Moreover, education policy can help level the playing field rather than perpetuate the disparity between the haves and have-nots. If used responsibly, education apps can be a powerful tool to improve the education of our youth.